Every single move you make on your computer is being recorded. It doesn't matter whether you're running anti-spyware applications or not. Spyware isn't the issue - your computer is. Even the best anti-spyware technology can't stop your PC from recording it's own activity. That's why you need PrivacyControl to protect your privacy. Anyone who has access to your computer can see everything you've been doing on it. Your emails, your Internet activity - all of it is up for grabs. To make matters worse, a person who wants the information doesn't even have to know much about technology to access it. They just need to know their way around Windows. That's where PrivacyControl comes into play. 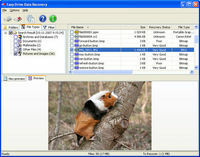 PrivacyControl is 2010's leading privacy protection software. By shredding unwanted and unneeded files and erasing your computer footprints, PrivacyControl makes sure that your privacy is never compromised. When you run PrivacyControl on your computer, it will scan your entire hard drive and will show you all of the emails, Internet histories, chat logs, search histories, password files and other information that your hard drive is logging. After you see the results, you can remove whatever you want to - safeguarding your privacy while improving your computer's performance. Every time you make a move on your computer, you leave little "footprints" behind that can be retrieved at a later time by anyone who wants to see what you've been up to. This trail doesn't just put your privacy at risk, but it also consumes valuable disk space and affects your computer's performance. 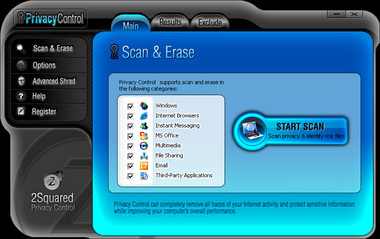 Use PrivacyControl to scan your PC for these footprints - for free!